Silver mining is not an easy industry. The costs of silver mining include not only operations, but also exploring new territories and building new mines. With silver prices where they are today, many of the world’s silver miners simply aren’t profitable. The average cost to mine silver in 2018 is $10.56 / oz. Some miners can produce silver at much lower costs, while some are deep in the red due to higher costs and silver prices stuck around $16 / oz. Life becomes very difficult for silver miners when silver is under $20 / oz., and silver has been that way for several years now. It’s finally coming to a head with 2017 seeing the first reduction in global silver production in years. What happens when silver prices remain so low that a silver mining company can’t make a profit? They need to issue more stock to keep the lights on and the silver coming out, and ultimately, they may go into bankruptcy. That’s caused major silver mining companies to shut down, hurting the global supply of silver production. The other way silver miners stay in business is by also mining gold and copper on the side. In fact, sometimes it’s even the other way around. Silver is often a common by-product of lead and zinc mines, meaning the global silver supply is also closely linked to demand for zinc. However, even by-product mining has costs, and if the price of silver isn’t high enough, zinc miners simply won’t bother to refine it. If you were thinking about investing in silver mining stocks, you may want to think again and invest in the real deal. Keep your eye on precious metal price charts and think about buying silver today. These low prices could prove to be the secret to earning a profit down the road. Is it possible to make money with silver given all the doom and gloom lately? Silver supply is falling because silver prices aren’t sustaining silver miners. Silver miners are focusing on diversifying into gold and copper or else they’re going bankrupt while zinc miners don’t have the incentive to do anything with silver by-products due to the low returns. Meanwhile, industrial demand for silver keeps growing. Silver is an important metal in many different industries. Electronics, batteries, and solar power use extensive amounts of silver, because the metal is such a good conductor of electricity. The growth of solar power generation in China as that country attempts to tackle its pollution problem has been a major driving factor for silver demand that shows no sign of letting up soon. Speculators aren’t that interested in silver right now. They have more faith in gold as a long-term safe-haven, and for now, equities and bonds don’t have investors fleeing toward precious metals the way they do when confidence in other markets is low. The result: despite growing industrial demand, prices remain low. Unless investors become more interested in silver coins and silver bars, prices will remain low and demand will outstrip supply. Once that happens, it will take silver miners time to raise the capital to expand, explore new silver deposits, and establish new mines to ramp up production. That’s when speculators and investors will be able to cash in on high silver prices. Silver is gold’s more volatile counterpart, which means it not only falls faster than gold, it also rises faster than gold. You can see your investment in silver grow much faster than in gold. In the most recent gold and silver bull run, in the 6 months leading up to April 2011, silver prices doubled to nearly $50 / oz., driven by deep concerns about the U.S. economy and propelled even further by shortages of silver coins and silver bars. Investment-grade silver was in short supply after mint sales hit new records. While silver doubled, gold gained a significant $200 up to $1,327. Great gains, but not the same kind of return that silver saw. Farther back in the past, in 1980, a similar situation occurred, with silver hitting new records based on rapid consumer inflation. In January 1980, silver had gone up to $35 / oz. from $19 / oz. in November 1979 while gold gained a few hundred dollars. Silver is a riskier metal to buy, but the returns are more rewarding. Silver also has lower barriers to entry for first-time investors. 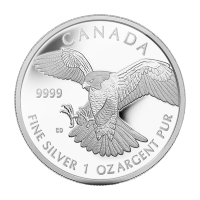 At under $20 / oz., it’s not hard to buy silver coins. 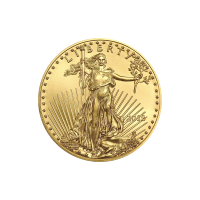 You can save more money when you buy gold and silver online at lower premiums than your local bullion coin dealer. When you buy larger quantities, you save even more. Silver coins are one of the most popular products we sell at Silver Gold Bull, because they’re more accessible than gold for the average investor. Silver has a higher ceiling (in terms of relative growth) than gold, given how undervalued silver is right now. That comes with a caveat, however – silver also has a lower floor after a peak. There are plenty of reason to buy gold as well, including risk management and storage. Once you start investing larger sums of money, silver storage can become an issue. When you first learn how to buy gold, storage should be top-of-mind. A home safe can be an effective way for beginners to store silver and gold, but at higher quantities you may want to explore allocated storage. Allocated storage is a silver and gold solution readily available from Silver Gold Bull. 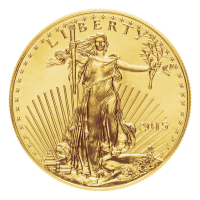 Precious metals can play a valuable role in your portfolio. There’s more to precious metals trading than gold. 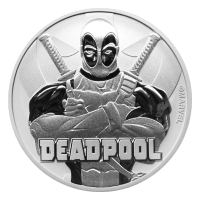 Consider the potential silver could have on your portfolio’s performance.